Lithium batteries in shoes…what could go wrong? At long last someone has designed a digital smartshoe. Cue the obligatory eye roll. And a pair of these can be yours for the whopping cost of $599. The shoe has a lot of features, including smart heating, activity tracker, cushion monitor, stair counter, pedometer, speedometer, calorie counter, auto tightening and an app that analyzes your stride. Well, I never said it was hot. I guess the shoelace tightener is kind of cool. To be fair, the company has also developed a product that fits into any shoe as an implant, which is a much better idea. Where to begin? Shoe styles are highly subjective and the cost is very prohibitive for an item that most people have more than one of. Seems like over-engineering. It’s a solution to a problem that doesn’t really exist. 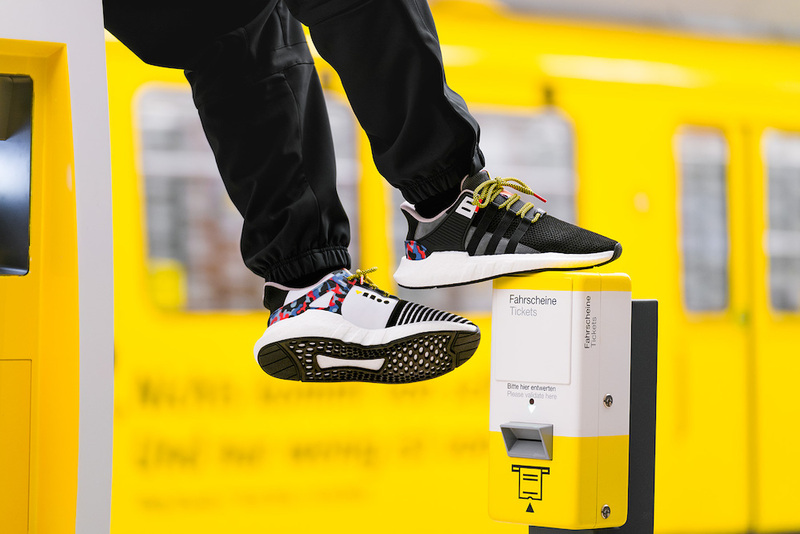 Berlin’s metro, BVD, has partnered with shoemaker, Addidas to give customers free year long transit. The shoes, that retail for $215, have a yearly metro card built into the tongue. There are only 500 pairs available. Though likely low tech, this innovation gives us a glimpse into the ways we can make our lives easier through wearable technology. Posted on October 20, 2017 by G.S. 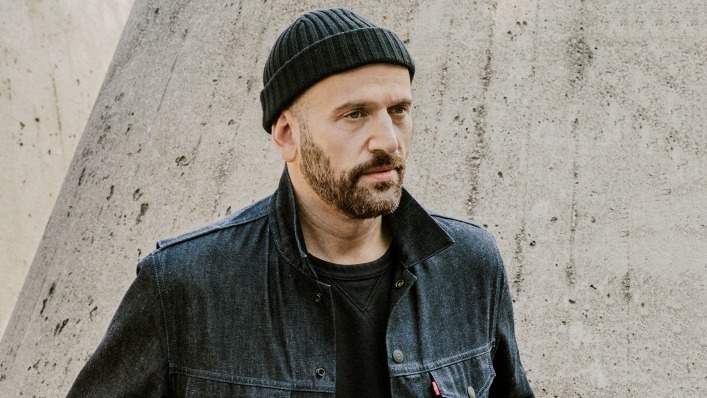 Project Jacquard, an experimental initiative from Google’s Advanced Technology and Projects group, has partnered with Levi’s to create the Commuter Trucker denim jacket. Creating durable conductive thread. Tech is treated with gloves, textiles are meant to endure tough situations from being exposed to fire (to remove extra cotton fibers) to heated presses and pre-skewing (Levi’s process where toothed grips latch and torque the fabric). Although relatively primitive, the gestures don’t do much more than what the remote control on earbuds, this is a starting point. Because although voice-based interactions are becoming more an more prevalent (Siri or Alexa), touch still has an important role to play in our future interactions with new technology meant to disrupt and replace our screens. A few weeks ago I posted an article that spoke to the value connected medicine dispensing could bring to healthcare. What I neglected to mention is the plethora of HIPAA hurdles that the healthcare industry faces when it begins collecting patient-specific healthcare data on mobile devices such as phones, tablets or wearables. Thankfully there may be a solution on the horizon that significantly circumvents this challenge. In the past, if a client were to build an app that collected patient-specific medical data, the entire phone would then be considered a “medical device.” The challenge with this lies in the relative inability of a healthcare company to effectively to manage HIPAA compliance on a device they rarely have contact with. However, the FDA’s new Digital Health Innovation Action Plan is looking at ways to view the software as the components of a tech solution that needs to be regulated. This effectively paves the way for healthcare companies and the companies to more deeply integrate mobile technology with healthcare. So who did the FDA deem worthy this past week from the pool of over 100 applicants? The end goal of the program is to develop a regulatory framework for software as a medical device so that companies with established, tried and tested quality assurance protocols would be able to update their products faster. in the past, mobile devices such as wearables, phone or tablets that collected patient data weren’t HIPAA compliant. This new FDA initiative opens up the potential to build technology that makes these devices HIPAA compliant opening up vast new opportunities for the healthcare industry. Strapping a GoPro to your dog is so 2015. These days, to get the best pint-size footage, you have to strap Snapchat Spectacles to your kid! And that’s just what Cutwater did for its new Mother Day’s commercial for Brawny, which was shot from the point of view of children wearing the socially connected eyewear. The San Francisco agency hired director and producer Karen X, enlisted four real families and shot in their homes over two days. The glasses have no playback function, so the creative team had to capture as many “happy accidents” as they could—all in 10-second bursts. Along with Brawny’s new brand positioning, a campaign focused on mothers makes sense. Not to mention that it’s a natural fit with wearables, allowing for some fun to be had with new technology.The only thing missing is an Elmo lens. Recently, CEO of Chinese electronics maker Huawei raised eyebrows when he publicly trashed smartwatches. “I am always confused as to what smartwatches are for when we have smartphones,” Eric Xu Zhijun said, adding that he would never ever wear one himself — despite the fact that his own company makes them. 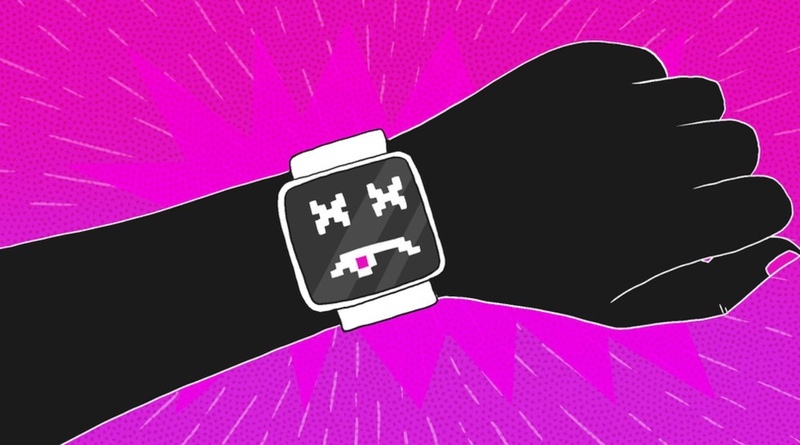 This underscores something that tech enthusiasts have been dancing around for a while…that the smartwatch seems to be on life support if not fully dead. Pebble, for example, was one of the original Kickstarter success stories. 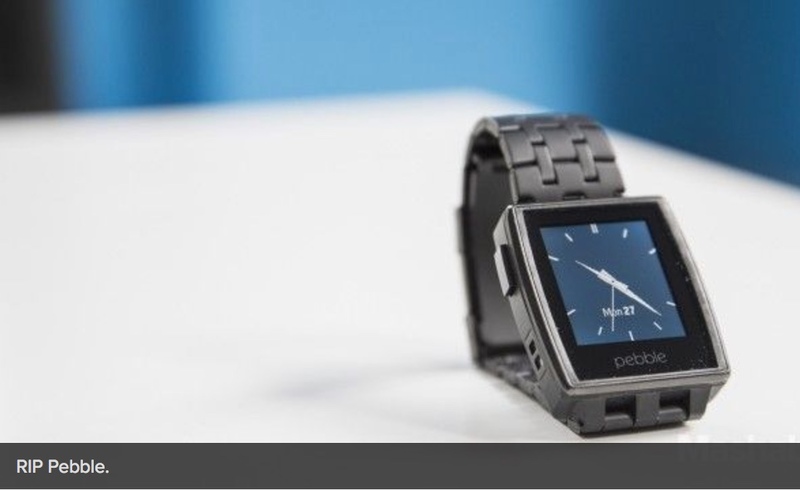 It was acquired late last year by FitBit and it’s future is uncertain. Whenever tech industry tries to anticipate trends instead of trying to understand what people actually want, it feels like the tail wagging the dog. For that reason, like the 3D TV, wearables may’ve been doomed from the start. I hate the idea of “Smart clothes” but its happening. Levi’s and Google to blame. Some interesting new technology has hit SXSW and is coming to a store near you this fall. Levi’s and Google have partnered to create a denim shirt enhanced with tech for $350 a pop. I don’t know how I feel about it because enough is enough, right? WRONG. According to Juniper Research, wearables are expected to be a $19 billion industry by 2018. The smart Commuter jacket, which was introduced over the weekend at SXSW in Austin, is aimed at those who bike to work. 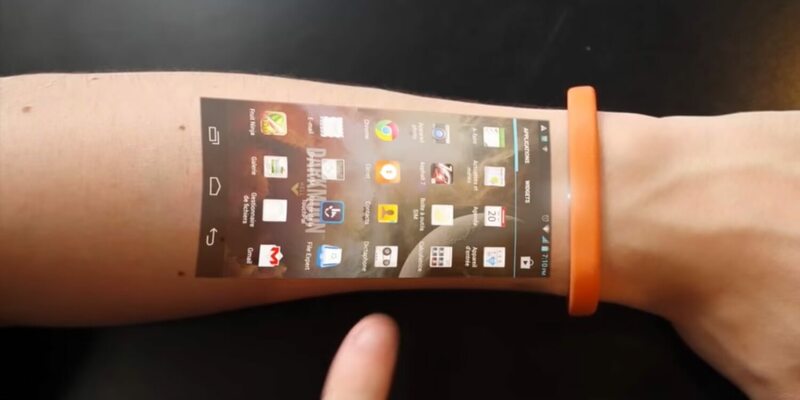 It has technology woven into its fibers, and allows users to take phone calls, get directions and check the time, by tapping and swiping their sleeves. That delivers information to them through their headphones so that they can keep their eyes on the road without having to fiddle with a screen. Wearable’s like Fitbit have seen a decline in sales, resulting in job cuts and budget cuts, its interesting that Google and Levi’s have decided to move forward with an idea like this given the market. This is a wearable but its more so about the fabric. Wearables are expected to be a $19 billion industry by 2018 or this jacket could be the first of many new clothing options. In the past, you could have argued that the more technology takes over, the less we feel. But with the rise in virtual reality, haptics, wearables, and the like, we’re seeing a swing back towards technology augmenting what we can physically feel as human beings. Whether it’s to be able to empathize, or just to be able to share an experience, it’s another example of technology filling in the gaps that exist in our humanity. Just another example of how technology is changing the way we physically experience the world. A company called “Tesla Studios” has teased the idea since 2015, and last year teased us again with the “Teslasuit”, a full body haptic suit to provide an extra sensory touch/feel experience, enabled through digital means. The suit would allow those wearing it to physically feel the effects of any virtual interactions – which could be triggered through a phone, gaming console, or virtual reality experience, among other ways – as if they were happening in the so called real world. They’re not the only ones working on the idea, but they do seem to be the most prominent. It shows what could be the ultimate culmination of the trend toward digital invading our everyday physical world. Right now we’re interacting with each other and brands through websites, messaging, apps, chat bots,etc. A lot of the applications of this have been focused on gaming, but imagine if you could touch and feel the things you want to buy, get yourself physically examined by a doctor, or just rub a friend’s back virtually. While this may be further off, it shows the trajectory of digital’s invasion into our physical world – how the physical world is being transformed by digital means. Earlier this week, Facebook’s Oculus Rift, the clunky VR headset, shipped to the market. 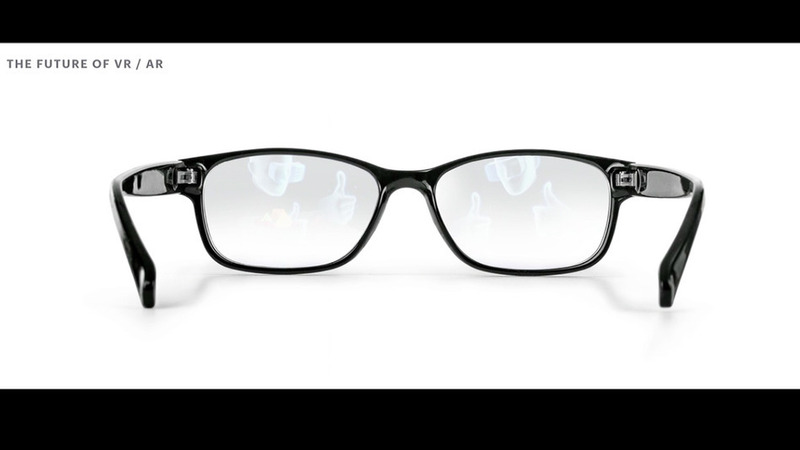 But Facebook has hopes for the tech and form factor to be reduced to the size of a normal pair of glasses. During a recent developer conference, CEO Mark Zuckerberg demonstrated a concept pair of smart glasses that he envisions being able to view both virtual reality AND augmented reality. 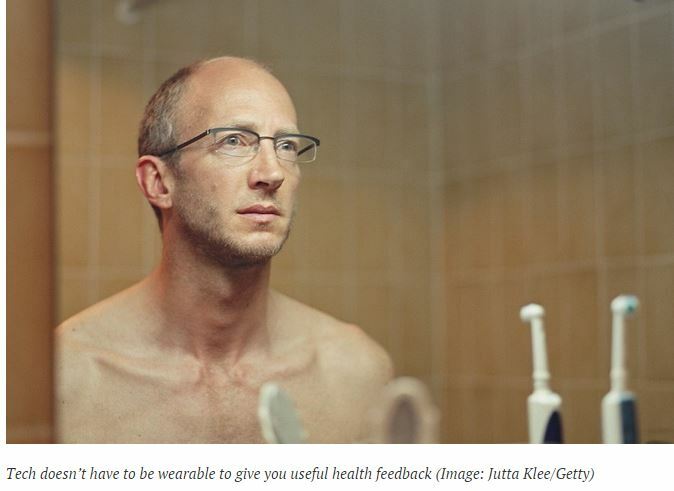 It would be similar to what Google Glass has tried to establish. To distinguish, AR provides you overlays of data and information while you view the real world through the glasses vs VR, which is a virtual rendering of worlds. There may be a race to market heating up as Microsoft just shipped its HoloLens headset to developers and Snapchat is apparently working on its own augmented reality glasses. AR and VR show true integration of the real world with information and data that can enrich our experiences. Particularly with augmented reality, overlaying information into your field of vision that is contextually relevant to what you are experiencing, can augment and enrich the experience. The right remix makes a old song feel new. And makes a new song feel even newer. Which is why trip hop duo Massive Attack has released a “sensory music player” app with its new EP. The app is called Fantom, and it remixes and reforms music on iPhones based off environmental factors like a person’s location, movement, and heartbeat fed by Apple Watch sensors and HealthKit data. Each factor affects the music in a different way. Heart rate, for instance, changes the song cadence, while location affects harmonization. 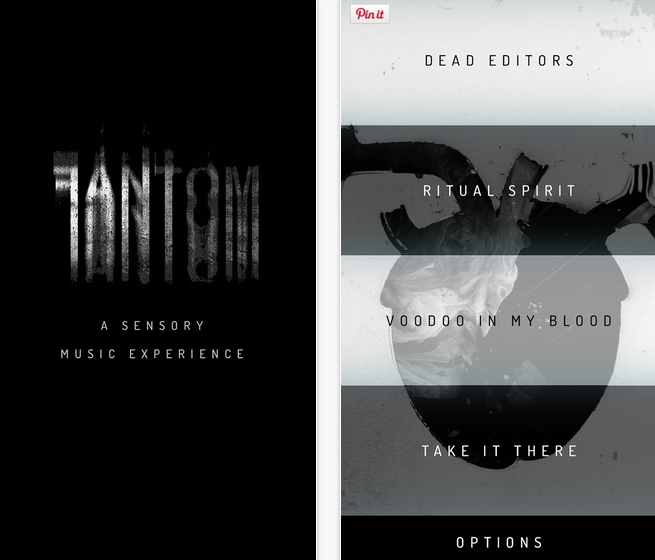 Fantom is not a partnership– one of the Massive Attack band members was part of the team that developed the app. Why it’s hot: remix albums have been around for awhile, and offer the same remix to every person. Why not algorithmically personalize it if you can? 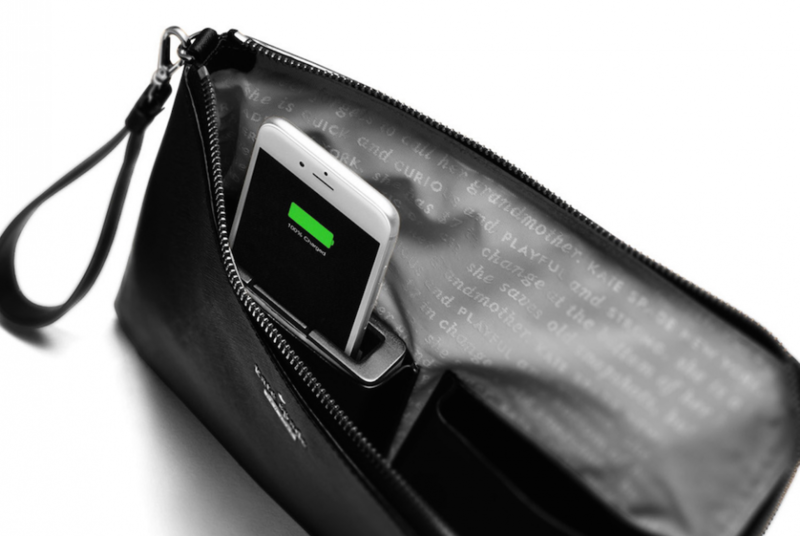 Everpurse is turning handbags into the perfect device carrier. By fitting them with built-in chargers, they extend not only a busy woman’s carrying capacity but also the battery lives of smartphones she carries. An alternative approach to building wearable tech, Everpurse works with Kate Spade, a high-end bag label many women love. 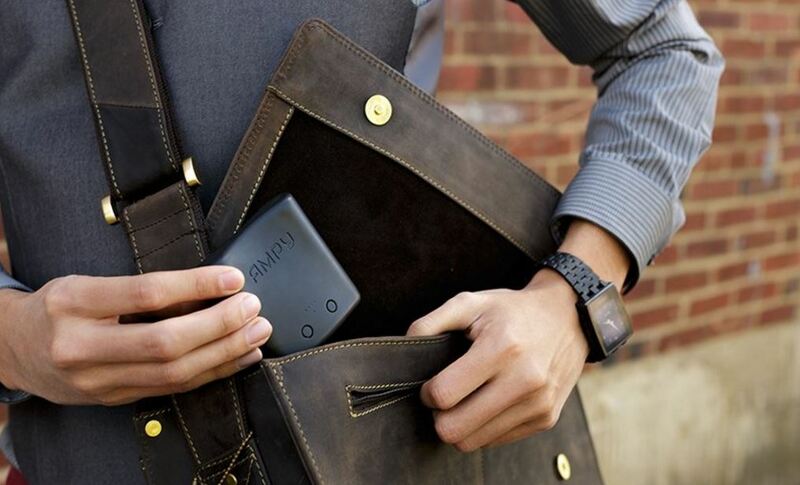 The Everpurse bag has a special pocket where a smartphone slides into. The device charges up wirelessly, with no cords to fumble with. Just place it over the included charging mat to charge. Because I NEED this! Simple as that. But really, this is (1) an interesting extension of wearable technology to big fashion brands — a trend that was emphasized at last year’s SXSW and (2) a practical solution to an all-too-common pain point. How does it plan to stand out against the typical fitness app consisting of wearable device & smartphone sensor? Using Watson’s smarts. The program will integrate data signals from wearable fitness gear with Under Armour’s Connected Fitness community of users, research studies, and institutions with data from IBM Watson. 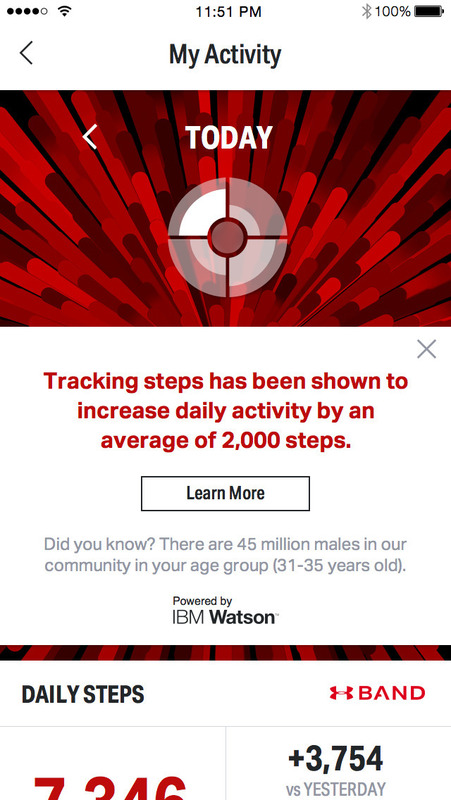 To help individuals achieve their fitness goals as accurately as possible, the Watson database will compare each user’s fitness data to a cohort of people with similar characteristics and goals– a sort of crowdsourcing in which individuals can see real-time results of others they share commonalities with. Two other projects in the works: using IBM Watson’s visual recognition capabilities to identify foods and their nutritional value and integrating weather- related and environmental factors as they relate to your health and fitness (powerful, as IBM purchased much of Weather.com’s digital assets). Why it’s hot: the Under Armour- IBM Watson partnership is one of the first brand integrations with the IBM Watson system and the first fitness integration of its kind to use consumer data in a way that allows people to compare themselves to others in real time. 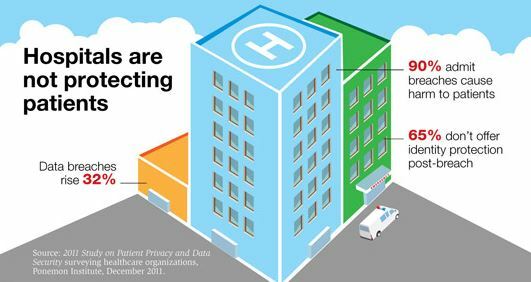 According to a recent Forrester Report on Cybersecurity, hacking health records, devices and wearable’s and using the information to ransom — yes, ransom — people’s health data is on the rise. On the face of it, it seems odd, after all why would anyone want my health data and what would they do with it? Aren’t these criminals satisfied with my credit cards or Social Security number? No. A credit card can be cancelled, your health records are permanent. Seems dramatic? Maybe not. Ask the 4.5 million records hacked from UCLA Medical Center — they suspected it was criminals looking for celebrities health records. Ask the 80 million people who trust Anthem and had their information hacked. At the heart of this disturbing trend is the rise of Ransomware, a form of malware. FastCompany wrote about the Ransomware trend recently (http://goo.gl/bDlelc): Symantec estimated conservatively that upwards of $5 million is ransomed every year. How do they prefer to get paid? Bitcoin the favorite currency of choice. Why is this hot? Because as the explosion of Electronic Health Records, wearable’s, devices and the looming Internet of Things all coalesce, we see that the healthcare industry has lagged far behind others in putting proper measures in place to protect the most intimate information of all. The prevalence of the malware is accelerating faster than the security measures of the industry. Data is growing exponentially, yet protection of it is in its infancy. As Eric Cowperthwaite the CEO of Core Strategy a security firm said: “…if the health care data stolen from these breaches was ever combined with the data stolen from the Office of Personnel Management, it would be the Holy Grail of electronic data on almost all people with government clearances,” Cowperthwaite said. Imagine this message: “We know you suffer from major depression? How would you like the world to know?” Or if you failed a drug test, or had a preexisting condition that could hurt your job prospects. This is so scary, it just gets darker the more you think about it. Stay tuned for what the security industry reaction is. The founders of AMPY MOVE portable battery charger and AMPY+ mobile app explored the possibilities of capturing their own energy from daily activities to charge their smartphones, then engineered a solution to do just that and so the AMPY MOVE was born; a motion-charger, a portable smartphone battery that charges from kinetic energy. 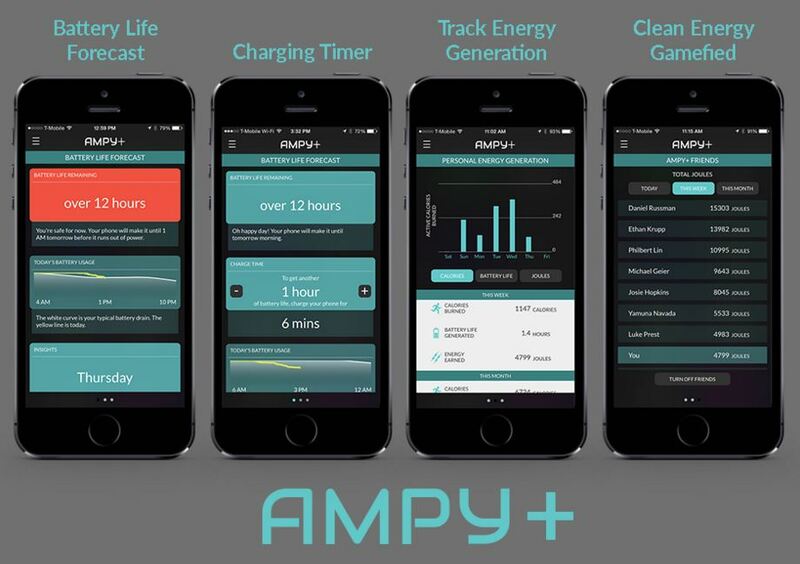 The AMPY+ smartphone app helps you stay charged and stay fit. Review your personal Battery Life Forecast with predictions and insights, track the calories you burn and power you generate, and compete with your friends. It’s free, and you don’t need an AMPY MOVE to use it. 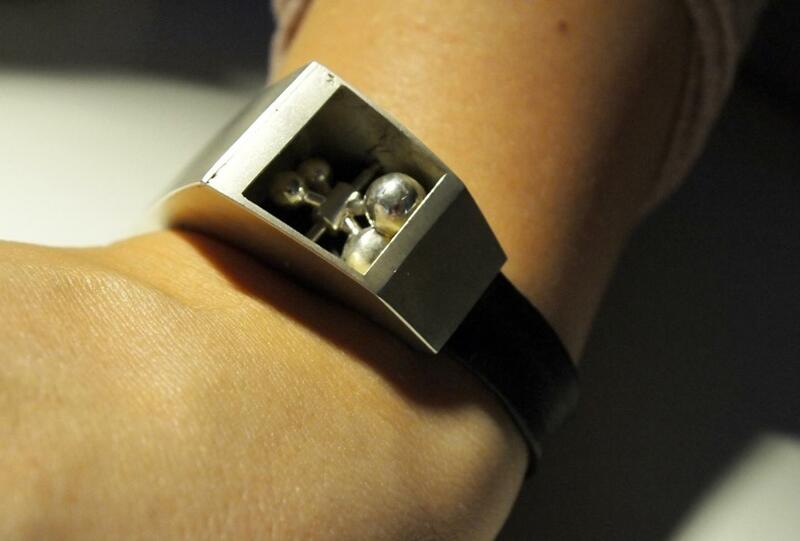 Sending a shout out to the founders of this cool new kinetic energy capturing wearable. Your team nailed the seeding for the December Release of AMPY MOVE with the free AMPY+ app. “One-touch/tap/swipe” payment systems obviously are far from new. The combination of Apple Pay with the Apple Watch has made it easy for those who own one to pay for things quickly and easily, as has Google Wallet. But while you might argue the style appeal of the fluorescent Apple Watch band, it’s really designed more to be functional than beautiful. The promise of digital is more functional, but ultimately, we don’t want function to always dictate form factor, especially when it’s something you have to wear. Technology like the Apple Watch, and even Google Glass is cool in what it does, but especially in the latter case, it may not exactly project any kind of sense of style. Now that the function is there, the form seems not far off into the future, even if this still feels a bit ahead of the times. Facial-recognition might make tagging photos a lot easier on Facebook, but let’s face it: there’s a lot of unresolved implications for the long-term about this increasingly integrated technologies. Rather than putting themselves at risk, some people are choosing just to opt-out altogether. How do you go dark when your data is collected without your knowledge or consent? It’s not a catch-all, but start with protective eyewear. 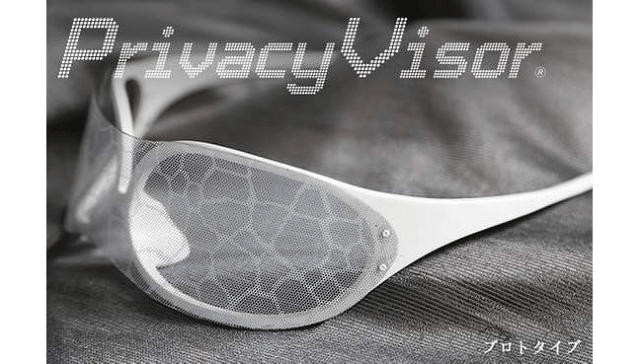 The Privacy Visor, first unveiled in 2012, are glasses that reflect light in a way that confuses facial-detection software. More specifically, the glasses disrupt the patterns of light and dark spots around the eyes and nose that allow computer algorithms to recognize that a face is even present in the frame. Although the glasses don’t guarantee complete privacy, project lead Isao Echizen says tests have shown it to work over 90% of the time. As camera technology has adapted to more closely mimic human sight, The Privacy Visor has been updated to better shield identities even as the scanning technology advances. Echizen is pushing forward with the concept’s commercialization, targeting mid-next year to begin production of more fashionable and effective versions. The Privacy Visor is a product that exists to treat the symptom of a much larger problem: maintaining control of one’s own identity. It might be good for those of us who are paranoid, and those of us who very legitimately want to maintain control of the information they create about themselves… online and out in the world. In fact some privacy advocates go as far as saying the Privacy Visor is a detriment to the cause because its very existence is in effect “giving in” to these huge pressures for amassing databases of personally identifiable information. So the bigger question becomes less about the specifics of this product, and more about the broader culture of acceptance we’re creating. Disney will be releasing new technology called Playmation which will encourage children to run around outside and use their imagination with the use of technology. Think laser tag with interactive Disney smart toys. The first series of Playmation, Marvel’s Avengers ($120), is slated to come out in October. With Playmation Marvel, kids wear a repulsor – or electronic brace – on their arm. Like Iron Man, Jarvis – his artificially intelligent butler – assigns kids a mission on the repulsor. Other missions can be obtained via a smartphone application. While wearing the repulsor, kids can place a power activator or base station with a smart character on top nearby (15 to 20 feet maximum range), and from there they can shoot it down and make the character eject. Playmation will not be exclusive to Marvel characters; there will also be a Star Wars version and a Frozen version. You can be Iron Man or Elsa. With the raid advancement of technology, there has been a pressing concern that children are not as active as they once were. This new wearable, kid-friendly technology will encourage kids to be more active and use their imaginations. Mirror, mirror on wall, can you diagnose me? For those using the internet to try and figure out what might be wrong with them — which is most of the United States population at one time or another — this is a major problem. Doctor Google is not the answer! Kaiser Health News has done this study to show the important an accurate diagnosis is. Such errant or wrong diagnosis can cause undue fear, people going to their doctors with the wrong information and further burden the healthcare system. What is stunning is that the study included Cleveland Clinic, Mayo, and other highly renowned organization’s web sites. Now, let’s look in the mirror. SEMEOTICON and the EU medical authorities are working together to create a sensor-based mirror that can tell you your blood pressure, potential for diabetes, cardiac readings and more. Why is this hot? Development of wearable’s, trackables, logging exercise is accelerating faster and faster. Yet, we also know from many studies that doctor’s typically ignore the tracking information; and that on average, over 70% of such Apps are abandoned after 3 months. Perhaps even more troublesome is the inaccuracy in time, money and emotion wasted. An inaccurate diagnosis can set off a series of horribly fearful events. But flip what this mirror from diagnosis to support and see it as a means to help control a patient’s health and suddenly what is potentially fearful device becomes an easy way to stay healthier. Is this a product you would purchase? Certainly, if I were a major Biopharma company with a diabetes or cardiac franchise, I would partner/buy this technology and offer it to patients and hospitals as a way to support the patient and healthier outcomes but also co-partner with the entire healthcare system. A few months ago, I told my in-laws that we had microchips implanted in our kids, so that we could locate them if lost or stolen. They said they did the same with their dogs. I was so surprised that I forgot to tell them I was kidding…and maybe I’ll never have to, because micro-chipping (well, not exactly, but close) may be available at retail by the next holiday season! Fuhu, the company that makes Nabi tablets for children, wants to open the IoT’s market to kids. They’re in the early stages of devising a “connected room” platform for kids built around sensors, monitors and cloud services, all designed to supply information – and hopefully peace of mind – to parents. Baby products can track feeding and sleeping. 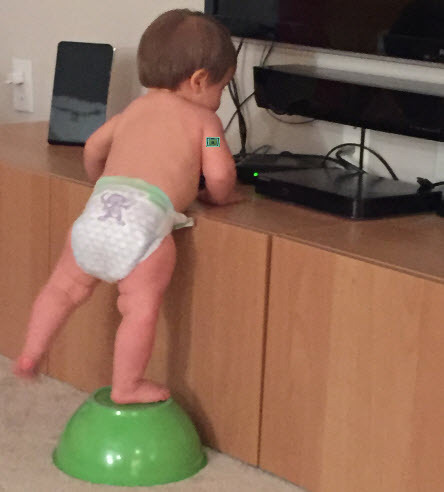 Products aimed at toddlers may track the child’s movement around the house, so that a parent can be notified if a kid wanders to an unsafe space, such as one with cleaning products or power cords. The various items under development include a mini light for the changing table that can track how often you change a baby’s diaper. Another is an air pollution sensor that tracks pollen, mold and dust. One sensor is meant to be worn by mom to track how often and how long she nurses her baby. All the devices can be controlled by mom and dad through an app on an iPad or one of Fuhu’s Nabi tablets. The goal is that the data that’s collected will be analyzed to help identify patterns in a child’s health. The products will be modular, useful and affordable, priced at $49-99 a piece. Why it’s Hot: Parents worry about their children’s well-being all the time. Information alone may allay concern, and if not, will enable the parents to conduct better research or have more productive discussions with a pediatrician. Further off in the future, perhaps these devices will enable two-way communication, so that under certain circumstances (e.g., baby is dehydrated or episodes of upset stomach can be attributed to a particular food, implying allergy), helpful information is sent to the parents…and we all know who likes to sponsor or underwrite helpful information…Pedialyte, Gerber, Enfamil, Huggies, Piedmont Pediatrics, United Healthcare, Mayo Clinic, et al. Can migraines be prevented? Not by pills. Try this wearable. 15% of the world’s population suffers from migraines. If you happen to be one of those people, you know how awful they are; you feel it coming on, then suddenly you are in a dark cave, hiding until it passes. While there are many medications for migraines, scary enough, a Botox shot to the forehead seems to work better than most. Additionally, many people find they ‘cycle-through’ the many medications because often it is hit-or-miss whether they work. Something new is needed beyond just another pill. The need is clear. But the answer is surprising; a wearable. Or maybe calling it that is a stretch. It is a headband. Very Wonder Woman tiara looking. Why it is hot? This device crosses a number of relevant and “hot” axis. First, it is FDA-approved. Second, with our society so focused on pills but also holding a almost pathological fear of electro-shock sounding therapies, this shows how desperate people are and how radical an approach is needed. This also shows how neurological disorders are finally being dealt with using our own electric wiring versus creating a chemical (pill) to impact the brains’ pathways. Adoption will be a challenge, even if it is as effective as it claims. This is the YouTube demo; the device actually has been proven to, over time, reduce the number of migraines. 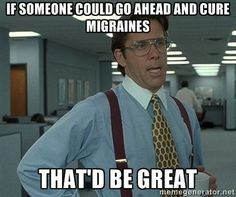 Prevent a migraine? Simply amazing. The only downside? As a wearable, metal headbands are not in fashion. On a more serious note, the real challenge is not that the device works, it is that American have a visceral fear of anything that sounds like electro-shock therapy — a prejudice deeply lodged in our collective mind since the 1950’s. 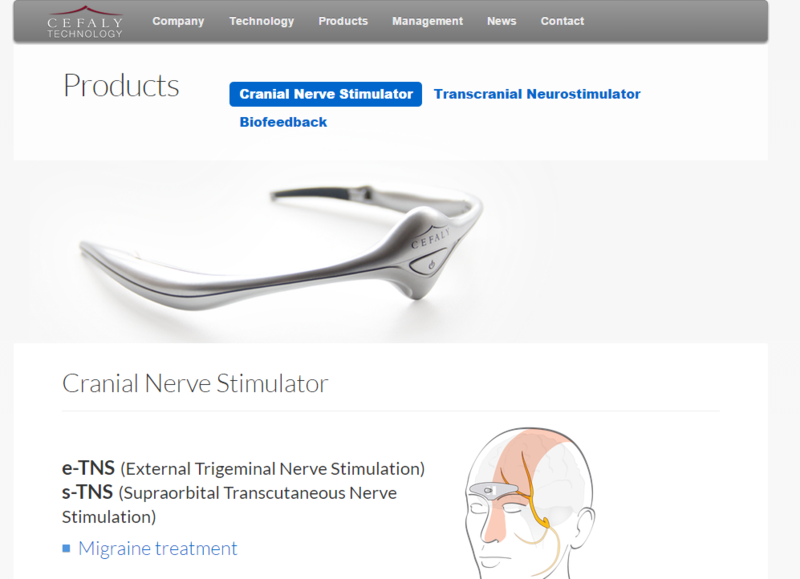 Belgium-based Cefaly Technologies already secured FDA approval for its headband-like device that stimulates the trigeminal nerve to reduce the frequency and intensity of migraines in March 2014. But now it has revealed positron emission tomography (PET) scan data showing that its Cefaly device can aid areas of the brain in returning to their normal metabolic rate in migraine patients.The idea was to better understand the short- and medium-term metabolic changes in the areas of the brain involved in migraine: the orbitofrontal cortex and the rostral cingulate, which are involved in decision-making and emotional behavior. In migraine patients, those areas of the brain tend to be sub-metabolic compared to people without migraines. Two things to watch for: where can you buy this for those we know who suffer? And is the device market starting to crowd into the pill market to solve seemingly intractable problems? The wearable device category has all the makings to ignite a technology revolution except one: widespread consumer interest. Awareness of wearables was high as of last year, which is a long time in a tech category. A significant share (40% to 68%) of mobile media users polled worldwide in Q3 2014 were already well aware of wearable devices. However, high awareness of wearables did not lead to a high rate of ownership in 2014. Less than 2% of the world’s population and less than 20% of internet users worldwide reported owning a wearable device last year. Ownership among US internet users was above the world average, however, ranging from 20% to 25%. Fitness trackers continue to be the most commonly owned wearable device among internet users worldwide. Adoption of wearable devices outside the fitness category has been slower due to a less apparent value proposition. The jury is still out on the Apple Watch. Despite robust sales, early reviews are mixed, with users unclear about the need for the product. Still, forecasting firms have a positive outlook on the growth of wearable device shipments going forward, particularly smart watches. In fact, forecasts for smart watch shipments this year are more bullish than the year-one shipment projections made for the iPad. Of note: Through 2019, sales are projected to skyrocket spurred by the wristband and smart watch category and further consumer interest in the Apple watch. Of note: among internet users worldwide, ownership of wearable tech is on par with other trending tech and still in single digits with expectations to double within 1-3 years. Key stats: females are faster adopting to wearable technology and express higher interest. 26% of female US internet users own a Fitbit device (vs 18% male) and 30% of females who don’t own, expressed interest to own any wearable tech (vs 24% males). The state of the wearable products consumers are polled about in one survey are likely to have changed (for better or worse) by the time the next survey is conducted. Additionally, consumer awareness and opinions of wearable technology are in flux, so older surveys need to be weighed against newer findings to gain insight into how the market is evolving. Of note: The wearables category includes a long and growing list of smart body wear, which makes it difficult for any one survey to probe deeply into consumer use of all the device types, let alone all the specific brands of devices on the market. But the trend is clearly growing and with that growth comes opportunity for marketers interested in targeting people not only based on where and who they are, but what activities they are engaging in at that precise moment. So we need to keep an eye, an ear, a wrist, a foot or a head on this movement very closely as it evolves. What If Emotions Can Take Photographs? This is the idea behind Nikon’s Heartography campaign in Asia. A Nikon camera strapped on Grizzler, “the world’s first canine photographer,” will take photos when the heart rate monitor on its strap detects that Grizzler’s heartbeats exceed its predefined baseline, which implies emotion. Why It’s Hot: The “emotional” capture idea is fantastic. It really brings another level to personal experience, and a man’s best friend is a great conduit to demonstrate this idea. What if we had this kind of camera on ourselves? What would it capture through our heartbeats? This also shows a unique way wearables can be used beyond its initial role of just measuring and storing physical/movement data. A new type of fabric is designed to collect and store static electricity in order to give your personal devices a power boost. Created by a team led by materials scientist Sang-Woo Kim at Sungkyunkwan University in South Korea, the material consists of a two layers of fabric, one of silver-coated fibres, the other containing zinx oxide nanorods coated with polydimethylsiloxane. The layers rub together when they move, which can be triggered by natural, day-to-day motions. Electricity is crack. You know the feeling – when you’re cell phone has just 5% of battery life and the thought of not having your phone sends you into a spiral of emotions. Look around. You see people plugged in at the airport, on the train, in restaurants, at work, etc. Following the developments in wearables, this caught my eye – although not the most fashionable – it’s interesting to see exploration into using our own energy as an independent power source. When patients transfer hospitals, physicians change shifts, or doctors don’t know a new patient’s full history, fatal mistakes can happen. Up to 440,000 Americans die each year from preventable medical errors, making them the nation’s third-leading cause of death. And by some estimates, better communication among staff could prevent as many as one-third of those mistakes. That’s what the people behind a new Apple Watch app, Doximity, are banking on. 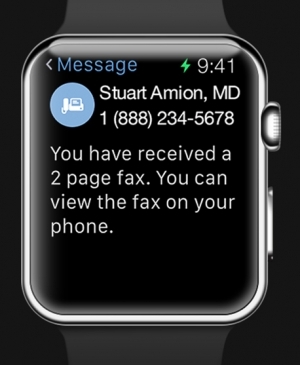 They think the Apple Watch can enable medical professionals to share information easily, securely, and quickly — and perhaps most importantly, hands-free. 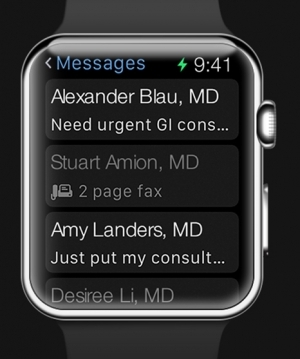 Clinicians who belong to Doximity’s nationwide network can share information with one another by dictating, sending, and receiving brief, encrypted messages — even if they don’t work for the same hospital, or don’t have an Apple Watch. This new app could change that way physicians communicate with one another, saving them valuable time throughout the day while maintaining HIPAA-compliant standards to protect patient privacy. If the Apple Watch finds success in hospitals and healthcare centers, this app could be the start of a wide range of hands-free tools for doctors. Whiskas Australia has developed a device that enables cats to take and post their own photos to Instagram, with the aim of providing a social media outlet for kitties to help us better understand their behavior (if ever). The Whiskas Catstacam is part of a campaign created by Clemenger BBDO Sydney designed to help cat owners get closer to their pets. 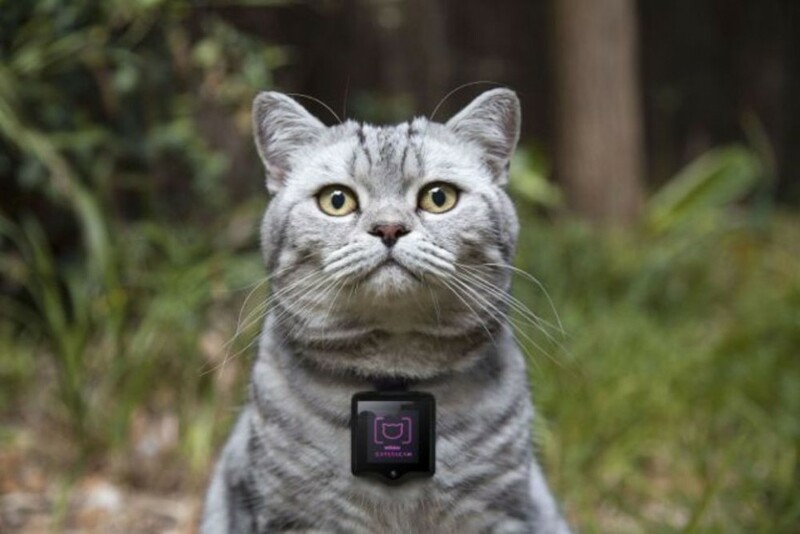 The small camera, which weighs 44g, is worn around the cat’s neck and motion-detector technology is used to capture moments from the animal’s point of view. A photo is taken every 20 seconds and posted to the cat’s own Instagram account, where owners and cat lovers can watch what they are getting up to. The cats’ behavior is analyzed and decoded by a Whiskas cat behavior expert and owners can ask questions about what they see their cats doing. For example, if you wonder why your kitty is climbing up a tree, you may be informed that cats climb trees to sharpen their claws and leave their scent. 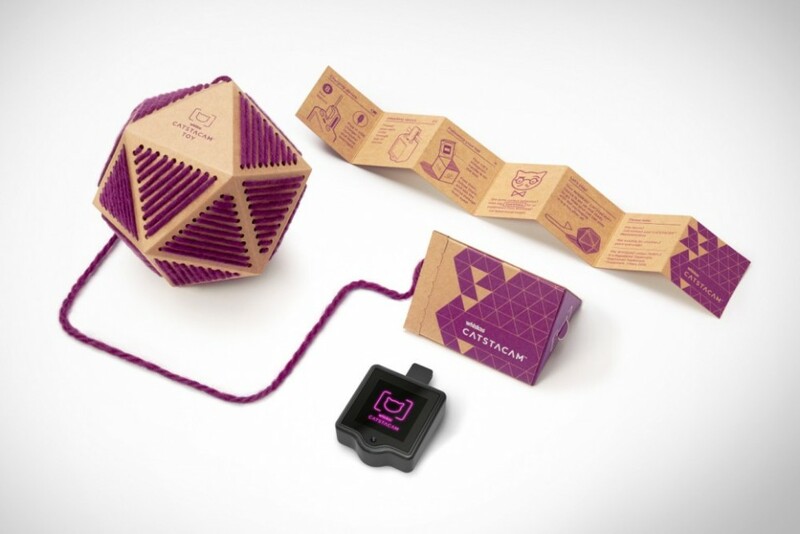 The packaging of the device also cleverly doubles as a fun toy for the cat to play with. This is an interesting tie in to the wearables frenzy I experienced at SXSW — which also featured a good amount of activity tracking for dogs, but nothing for the cats! Though a bit silly, I like what the brand is trying to do by capitalizing on our obsession with our pets, social media and tracking into one appealing solution. Imagine all the (useless) footage! Knowing my cats, they WOULD NOT WEAR THIS for more than 10 seconds and there would be a lot of pictures of the floor. Earlier this year, Google announced ambitions to make “smart” contact lenses. This week the U.S. Patent & Trademark Office granted the Mountain View, Calif. company a patent describing a sensor in a lens that could monitor glucose, among other things. While Novartis confirmed a partnership with Google in July 2014, to make a glucose-monitoring contact lens for diabetics, the smart contact lens could be used for so much more than monitoring glucose levels. The combination of Google’s technology with a Pharma company like Novartis could help to improve the quality of life for millions of Americans that suffer from diabetes. In addition to it’s impact on diabetes, the concept of a “smart” contact lens could result in countless improvements to the healthcare industry. 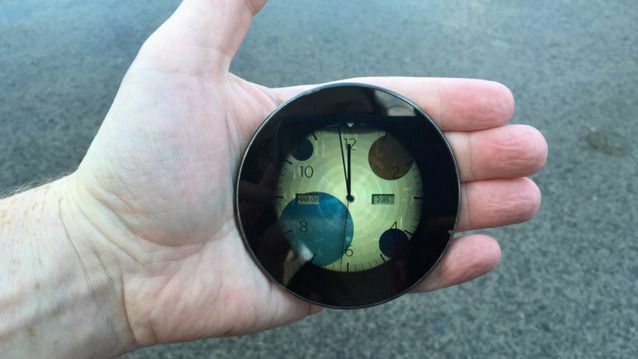 Just when we thought smartphones were losing creativity, a small circular device the size of a pocket watch has the potential to be one of the most innovative gadgets we’ve seen in quite awhile. The Runcible phone by San Francisco-based startup Monohm is on display at Mobile World Congress this week and generating significant buzz for its unique form factor. 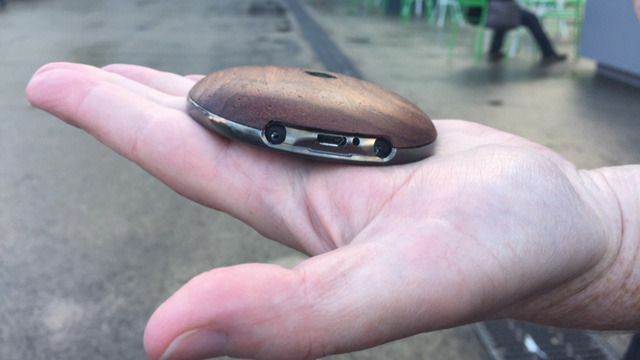 When it launches later this year, users will be able to pop out SIM cards from their existing smartphones and use the Runcible for a simpler experience during a night out or weekend stroll. While there’s so much innovation happening in one tiny device, the first thing you’ll notice is the shape, which is based on the classic pocket watch and compact compass. Considering how big smartphones are getting these days, it’s a refreshing change and fits snugly in your hand. Meanwhile, a back covering ensures it won’t slip and there’s several varieties to choose from, including wood, copper, tin, ceramic and recycled plastic. The device runs on Firefox OS, includes a charging port, comes with a camera on the back and allows you to attach a chain if you want to truly embrace the pocket watch theme. It can be synced with a Bluetooth earpiece and take calls directly. But like many things with the Runcible, there are limitations, which are part of a greater effort to not have too much information thrown at you. For example, you can only select 12 contacts (a nod to the 12 hours in a day, of course) who you can talk to from the device when they call — everyone else goes to voicemail. Unlike most smartphones, it won’t alert you every time you get a Facebook or Twitter alert either. It just lets you know when you have more social activity than usual (like a jump in retweets or Facebook comments) by subtly notifying you within the watch face itself. Here’s how: one watch face shows different color bubbles that represent various sites, like Facebook (blue) and Instagram (brown). When you’re getting activity on a certain social network, bubbles enlarge so you can glance down and gauge what’s happening without needing specific details. However, it’ll let you know if you’re getting contacted by someone in your 12-person contacts list. The Runcible gets creative with the compass function, too. Instead of taking you to a landmark with precise GPS directions, it’ll take you through the most scenic route possible. It can also be set as a guessing game and point you in the right direction without step by step instructions. There are several Easter Eggs within the gadget to keep users entertained, too. Although the pricing hasn’t yet been announced, the company told Mashable it will likely be the price of an unlocked smartphone — so likely in the $600 range. This is an interesting reverse in trend where smartphones are becoming smarter version of everything you own – watch, kitchen appliances or even clothes. Instead, this phone is giving you a imaginative version of phone in disguise. Representing a counter-balance to the technology advancement. 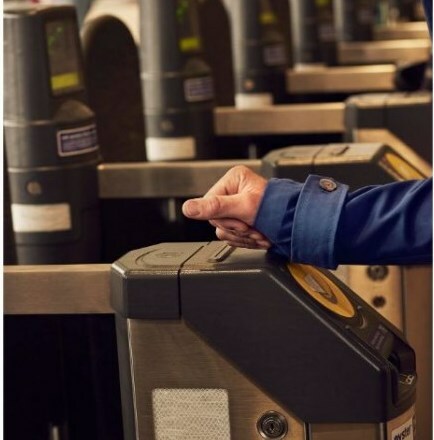 With the rise of connected devices (Internet of Things) and wearables there arises a difficulty of having devices communicate and perform actions across a vast network. 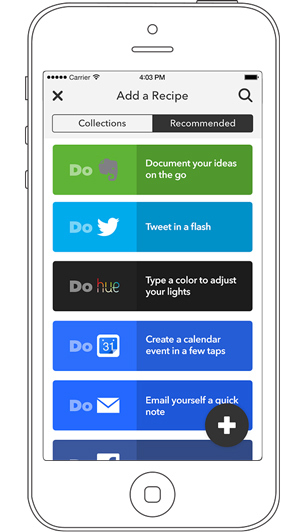 IFTTT allows an easy way to create and manage all the actions that you want to occur across devices without any complex coding or back end management. Interestingly, although the Internet of Things turn is somewhat new for the company, it’s already seeing quite a lot of activity, with 20% of the Recipes related to “connected devices of some kind,” Tibbets says. “That has put us in a phenomenal position to really build the consumer side of the business.